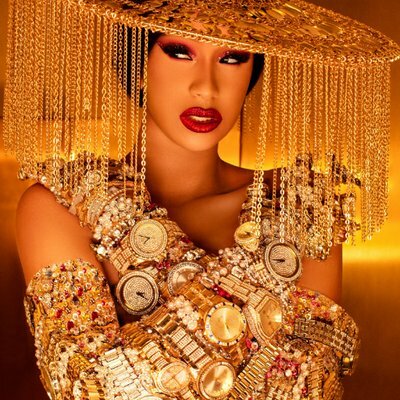 Rapper Cardi B announced as the face of Pepsi's ad Campaign for Super Bowl 53. As if her last year couldn't be better with Grammy nominations, other great things awaited her for this year as well. 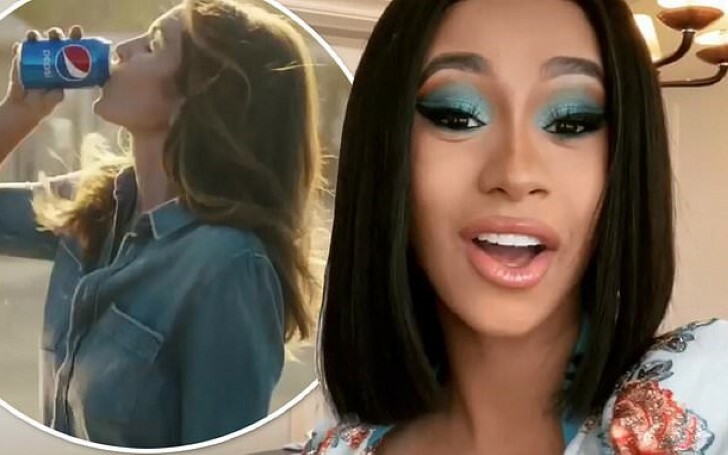 The female rap sensation Cardi B will become the star of Pepsi's Super Bowl 53 ad next month, as TMZ reports. In 2018, last year for Super Bowl 52, Cardi's predecessor, actress, and model Cindy Crawford recreated her iconic 1992 Pepsi commercial. Cardi B poses for a picture. Besides Cindy Crawford, the 26 years old artist will also be joining her other predecessors including some of the biggest stars in Hollywood such as Beyonce, Mariah Carey, Britney Spears, One Direction, Pink, Madonna, and The Spice Girls. Production sources confirmed the news on its website that the 26 years old rapper registered and even already filmed the advertisement, which will be broadcasted during the game. Furthermore, the young mother who reunited with her ex Offset despite cheating scandal might not be featuring at the SuperBowl stage, but she will be performing with famous musician Bruno Mars at one of the Super Bowl weekend events. Previously, instead of Bruno Mars, the rapper was scheduled to participate in the halftime show with Adam Levine's band Maroon 5, but agreements didn't meet along. And as per rumors, the event will be the biggest weekend celebration of the holiday. Looks like a busy month ahead for Cardi. What we mean is other than dazzling the Super Bowl event next month, the Bodak Yellow singer will also be performing at the Grammy Awards in Staples Center at Los Angeles. And as we already mentioned the Grammy-nominated artist received her nominations last year, in 5 different categories. Previously, Cardi surprised her fans by participating in the 10 Years Challenge where she posted a ten years old clip performing to Lady Gaga.